One of the things I struggle with again and again is that my mind seems to always be so concerned with efficiency when I have an idea of something to do. The "project" isn't about making one final product, but rather choosing one action to do every day for 100 days. It celebrates the process, making, and showing up every day. Plus a whole bunch of others I haven't come up with yet. Which would be the best for me at this point in time? Which will bring about the greatest results? If I choose x, what will I be missing out on by not having picked y? These ideas of "greatest" and "best" make me freeze. I want to feel good about my choice, to know "yes, that's the one for me"—but there wasn't a single option that jumped out at me right away. And even though I think all of these things would be beneficial, there's no way I could do all of them each day. I would never even consider that, though, because it goes against the very idea behind the project; it's just one thing, 100 days. I know this single focus is important—that choosing just one thing is a great way to make progress. So I do want to choose an action to do for 100 days. Logically, I also know that my hesitations are completely ridiculous. I know that no matter which 100-day project I were to pick, if I actually stick to it and do it for 100 days, I will learn something and be a different person on the other side. No matter how small, and no matter which "thing" I choose, all will be well, and I highly doubt that I'd have any regrets about having done the project. In fact, I think I'll be very pleased and thankful that I'd stuck it out. How can I best use my skills to make the biggest positive impact in the world? Do I get certified to teach, and teach at a public school somewhere in the US? Do I help English learners online? Do I learn about prison systems and try to change America's for the better? Do I try to improve the quality of public education in the states? Do I help immigrants and refugees? Do I inspire others to listen to their curiosities and to not let fear win, so they can go on to make positive changes as well? Do I try to share the health benefits of a whole-food plant based diet, and the dangers of processed foods and industrial farms? Do I teach students about foreign languages and cultures? Do I volunteer through AmeriCorps? Do I get more involved in the secular community, and fight for separation of church and state rights? 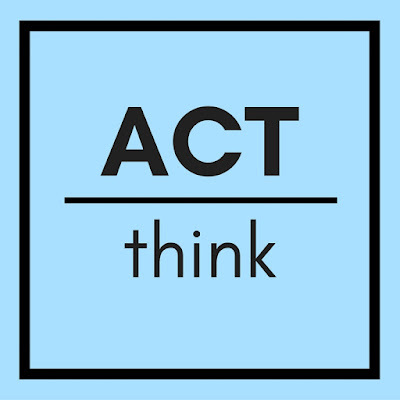 I think, think, think about all the possibilities of what I could try to accomplish, but have never been able to answer my terrifying question (which is appearing more and more like the very wrong question to be asking myself). And once again, logically I know that taking action towards any of these things will create way more of an impact than me simply thinking about them in my mind. I don't have a solution yet to this personal conundrum, nor a specific strategy at this moment for working around this mind block (suggestions very welcome! ), but it is on my personal compass to act > think as I soon embark on a new chapter of this life. 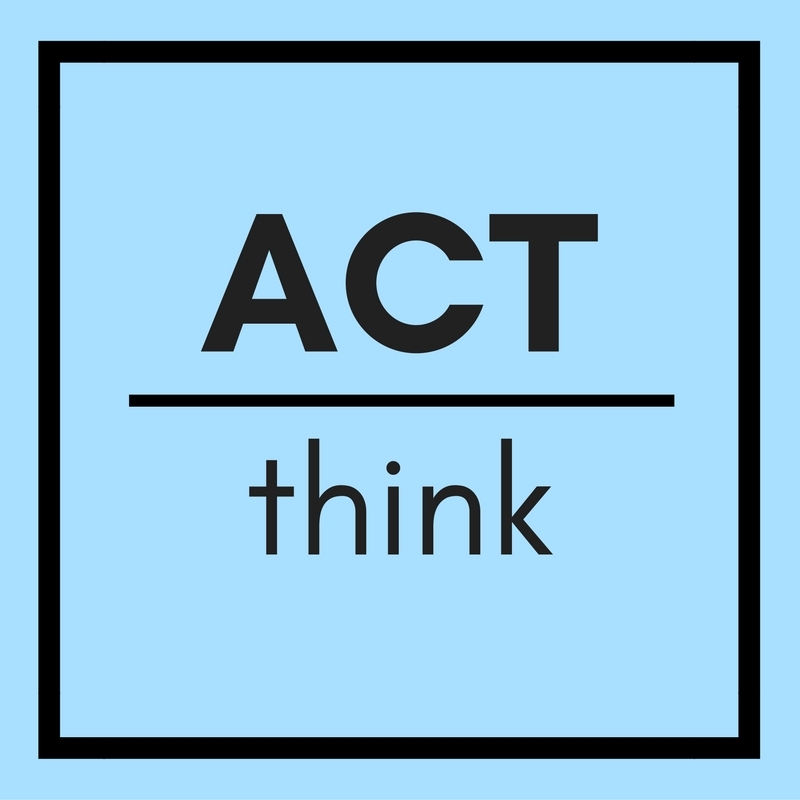 That equation, act > think, doesn't mean that one should always take action and never think; it's merely a reminder to myself to take more action rather than festering in thoughts. When you take action, you learn, you build skills, you get freer. When you stay still, your doubts fester. Everything is progress. Update Sept. 17, 2016: I finally started a 100-day project! If you're curious, you can follow my 100 Days of Mind Mapping here (or on Twitter: #100DaysofMindMapping). I don't think I've ever really not had a to-do list. I mean, when I have a blank day, I usually end up making a list at some point to guide me in doing what I want to do (so I don't forget). But I should try less structure every now and then—schedule unscheduled time. Actually, in about 4 weeks I'll be faced with a very free schedule, so it should be much easier to experiment with this! Yeah, that's one of the few days where I've seen the whole video—totally unexpected!